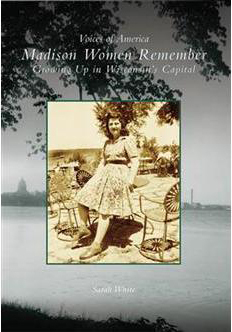 This spring I got an email from the publisher of my oral history book, Madison Women Remember Growing Up in Wisconsin’s Capital. They were planning a book signing for Father’s Day for their local authors. Would I be interested in participating? “Too late for that,” was the reply. “Will you do it?” It was a dull day in late winter; committing seemed easy. 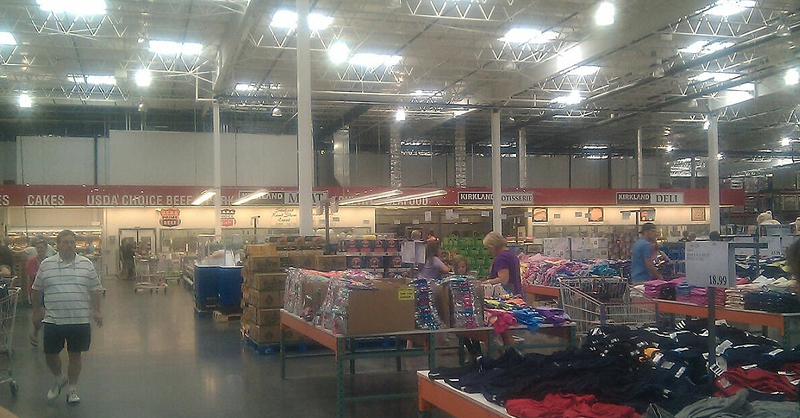 I agreed to give up two hours on June 14 to sit in a Costco warehouse signing books. I have never been in a Costco. June 14 arrived. I drove 45 minutes from my eastside home to the west edge of Madison. I entered through a canyon lined with giant inflatable watercraft and coolers and approached a draped table topped with two stacks of Madison Women Remember. Nearby stood a placard on an easel with an image of the book, announcing “Local Author Signing 12-2pm.” A staff person greeted me and seated me with some of those shorty water bottles and some black Sharpies. Somehow I thought they’d be more of us—a group of people with Wisconsin history books of interest to Fathers, things like Baseball, Fire Departments, Cars. But there was only me. Only me, in the middle of a stream of consumer America flowing as gently as goldfish in a bowl. I tried good posture and friendly eye contact. Some people, mostly older women, stopped to talk. During lulls I felt the dark pull of my smartphone. Checked some email, followed some links, surfed a little. Then I reprimanded myself. That’s no way for a Local Author to behave! Sure enough, as soon as I was publicly writing, more people wanted to talk to me. I sold some books. I had a very intriguing conversation with an older couple from southern India about the difference between religion and spirituality. The husband wants to write a book. What had felt like penalty for a poor decision months before (I gave up a BEAUTIFUL Saturday for this?) became a relaxed, focused, immersion in an environment that is to me, exotic. I may live in Middle America but I rarely go there. Wisconsin’s capital really can be “77 square miles surrounded by reality” if you play it right. Arcadia Publishing sent me a satisfaction survey form about the author signing yesterday. I answered it “Satisfied” but suggested next year, they invite me for Mother’s Day. I look forward to my next Writer in Residency at Costco. SOUND: Cash registers beeping beepingbeepingbeeping. Muffled hum of machines–air conditioning? Crackling walkie-talkies of staff. Murmuring people. Rattle of shopping carts. Slap of shoes on polished concrete floor. SIGHT: Stream of people with giant empty carts coming in the door. Inflateable rafts, pool toys, coolers. World Cup soccer on flat screen TV $479.99. Bose Bluetooth speakers, ad running on loop. People avoiding eye contact with me except little children and women of a certain age. Every 10 minutes or so one buys a book and I sign it. SMELL: Just a hint of food—warm nuts? Bread? There’s a food court behind me. TOUCH: Cycling air-conditioning. It gets just warm enough I dampen with sweat, then it kicks in and I feel a breeze of cool air. Coarse black fabric on the table my elbows rest on. Seersucker pants course against my thighs. TASTE: Bottled water. An Altoid mint, just to have something to report.